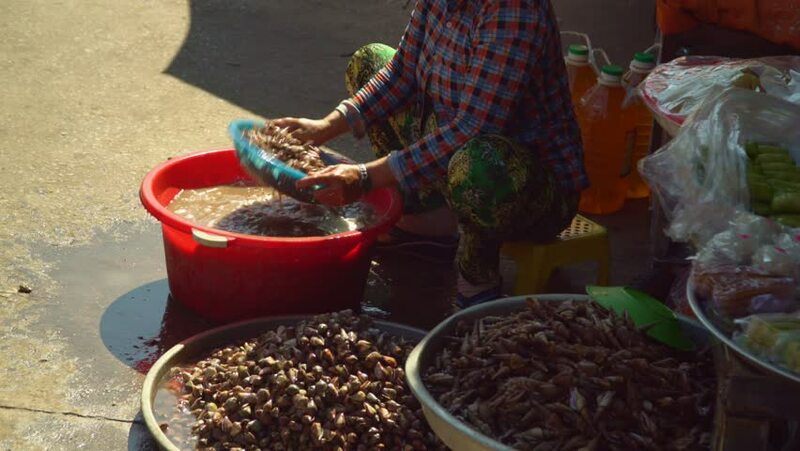 4k00:13Woman Cleans and Cuts Fresh Fish in Fish Market. Manual cleaning of fish. Gut, Evisceration, Processing, Skinning fish. Batumi, Georgia. hd00:13Frying Mekong River Weed "Kaipan" , Lao crispy river weed, popular snack of Laos.